Ideal choice for business traveler due to its strategic location, and also a favorite for leisure traveler to explore the rich culinary options and entertainment spots. Feel welcome. 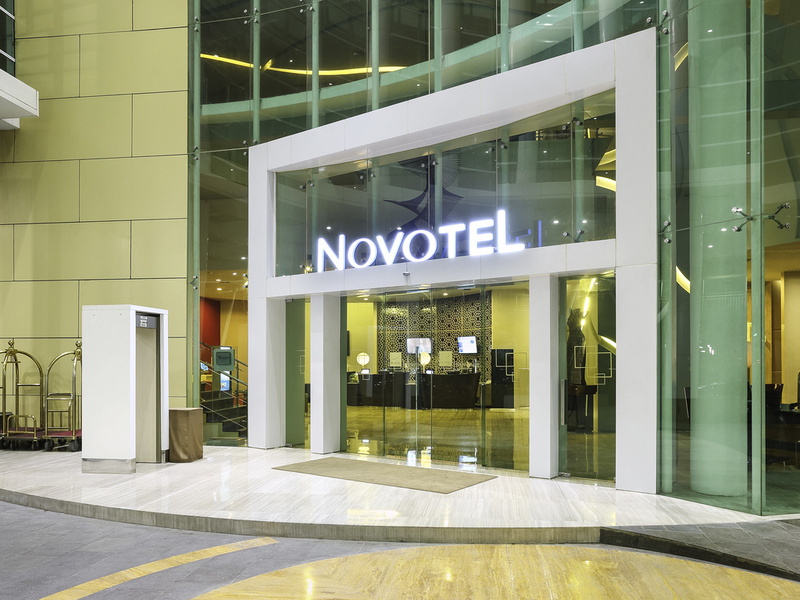 Novotel Jakarta Gajah Mada hotel situated in Glodok, West Jakarta-popularly known as capitals of Chinatown- is strategically close to food places, shopping centers, and entertainment districts. Our hotel features modern function rooms fit for corporate or social events, completed with an easy access to public transportation that makes your business or leisure stay perfect. Comes with a swimming pool, fitness center and The Square; a restaurant that serves diverse cuisines, sauna and spa are also available to have a relaxing day at Novotel. Staying several days or just stopping over? We are looking forward to see you! Le Bar is an intimate and friendly bar, which serves a wide range of cocktails, mocktails and other beverages. Light snacks are also available at the bar, which is the perfect place to catch up with friends or have informal business meetings. الفندق من ناحية الافطار جيد جداً لاكن نظافة مفارش النوم سيئه جداً جداً وخدمة الغرف بالنظافه سيئه ايضاً عند الدخول للغرفه وجدت المفرش متسخ وعند طلب التغيير تم تغييرها من اليوم الثاني لاكن بيوت المخدات رائحتها سيئة جداً . صراحه فندق غير مريح لابعد درجه اما استاجرت ثلاث غرف بالدور ال ١٦ . لاكن من يوم دخلنا ريحه الغرفه كنها ريحة باط .. والف ش جدا وسخ سواء السرير او الفرش مع ريحه جدا سيئه لاتوصف . اضطريت ارش عطر من عطوري . وللاسف يوجد بالسرير شعر الله والعالم حق مين . بس اجمالي التجربه زفت وغير مجديه خسرت يوم من عمري على شي فاضي . .